South Florida waterways are not only shared with other boaters but also with marine life that is unique to Florida. 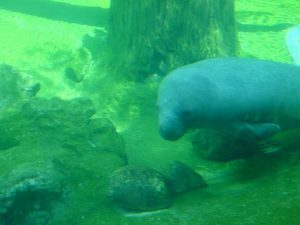 A number of species such as rare turtles and endangered manatees are protected by laws. During migration or reproductive seasons, laws and regulations limit the locations and the speeds for boats. Being familiar with these regulations can prevent an excessive fine or an injury resulting from a collision with a large manatee. There are many boat and personal watercraft (jet-ski) owners lack navigational skills and fail to possess the proper experience to operate their vessels upon the navigable waters of the State of Florida. In a recent report from the Florida Fish and Wildlife Conservation Commission, there were 714 reportable accidents from 2016 compared to 766 in 2017. There was also a rise in the number of registered boating vessels in Florida, which increased by 20,000 cases since 2016. 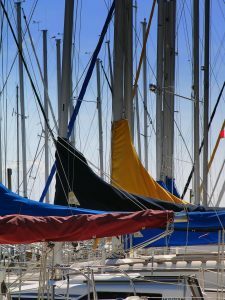 Most importantly, those chartering a boat must verify that there is a certified and licensed individual navigating a boat that is verified legitimately as seaworthy. If personal injury occurs during a boating accident in Miami, safety becomes paramount. It is important to seek medical assistance as soon as possible. A common cause of injury in a boating accident involves brain injury from depriving the brain of oxygen in a drowning incident. Serious injuries such as bone fractures and concussions are also common when boat passengers fall or are thrown off the vessel in a collision with another boat or object. When safe to do so, document the accident by taking note of the vessel’s operator license, registration number, the location of the accident, the water and weather conditions at the time of the accident and the contact information for other individuals involved in the accident. Following an injury in a Miami boating accident, it is important to document the treatment of your injuries. We recommend keeping a diary where you can document frequency and type of treatment, any incurred expenses, missed work and the treatment progress. 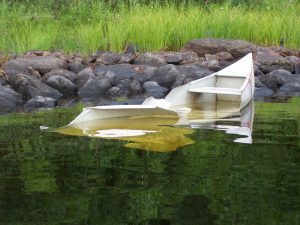 If a claim for damages is denied, it is important to have sufficient evidence to prove the expenses incurred as a result of a boating accident. 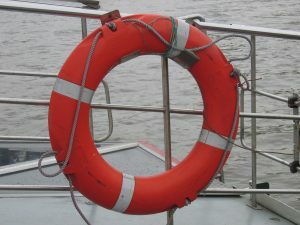 With time, memories tend to fade and records may become lost, which the insurance companies use to avoid providing just compensation for the victims of boating accidents. The Perazzo Law Firm Serves Boating and Watersport accident victims in Miami-Dade and Broward Counties. If you, a friend, or relative has suffered personal injury, property damage, loss, or wrongful death from a boating related accident, Contact Perazzo Law ONLINE or CALL (786) LAWS-411 for a FREE consultation with the firm’s Miami or North Miami Beach personal injury staff of attorneys.